Easter is a real Spring time here on the rock. 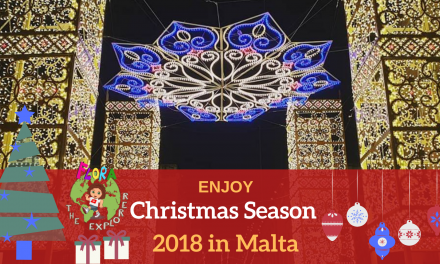 For me it is the best season to adventure one of the many trekking paths along the South coast of Malta, around the Northern ridge of the Mellieha-Selmun area and across Comino and Gozo. 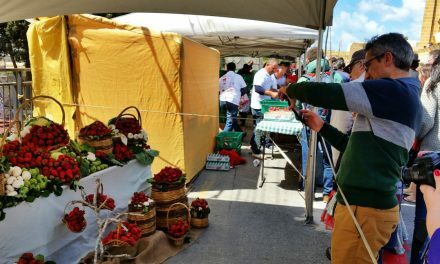 The spirit of the revival of nature, the warm yet not burning sun, the fragrance of the Figolla (typical Maltese Easter pastries), the family gathering in the parks for a picnic, make this month such as special one! 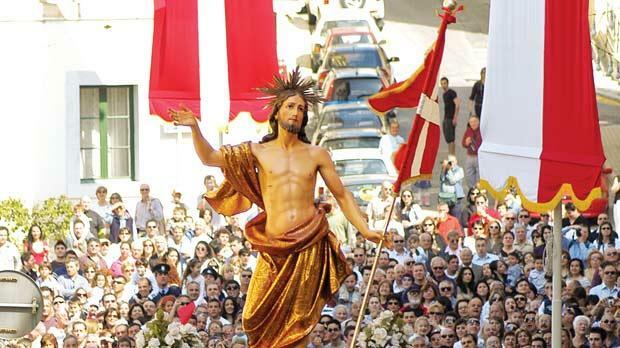 Above all, Easter in Malta is a devotional and traditional Feast, that commemorates the Passio Christy (the Death of Jesus) and His Resurrection. 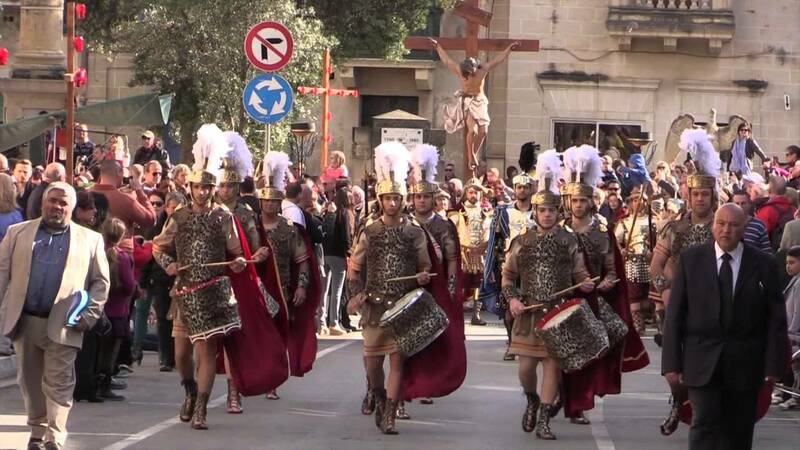 It is a deep and traditional experience for tourists from all over the world, to visit a Good Friday Procession. 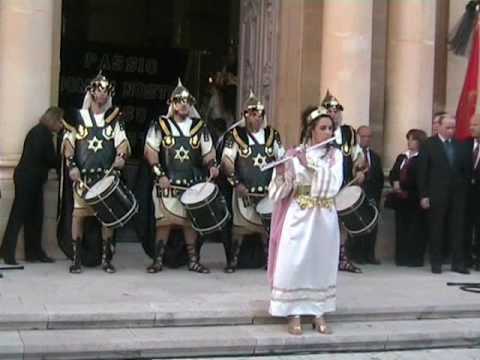 The processions are traditional, especially for the beautiful parade of statues carried by the local devoted volunteers, accompanied by hundreds of people, dressed as Roman soldiers, Jewish Priests and important Biblical figures. 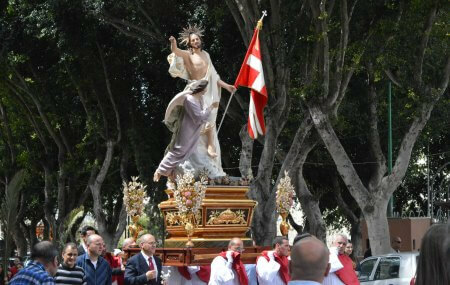 During Easter time devoted Maltese families set up for the day a little niche, with a statue of Jesus on the Cross and or Our Lady of Sorrow. While you are walking along the lovely alleys of the villages, you will spot them for sure. 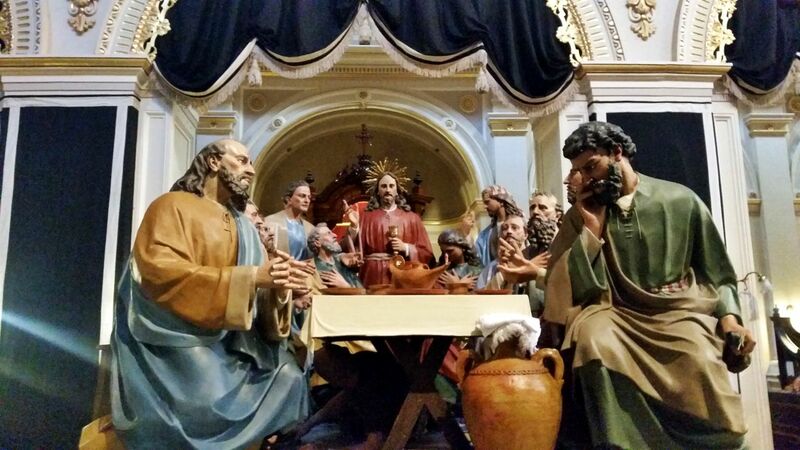 Usually in the Parish Church of each village there is an exhibition of the Statues of the Passio Christy (called Wirja), that you can visit before they bring them to the procession. In particular Flora The Explorer has visited the Qormi exhibition and met the volounteers, while they were arranging and decorating the Church of St George and the Statues as well. It was a great experience thanks to my young friend and volounteer Nathaniel, who gave me a tour (you will see in the video linked in the article) and introduced me to Dr Joseph Grima, who gave me lots of interesting information about the history of the Holy procession here in Malta and the meaning of the different statues. 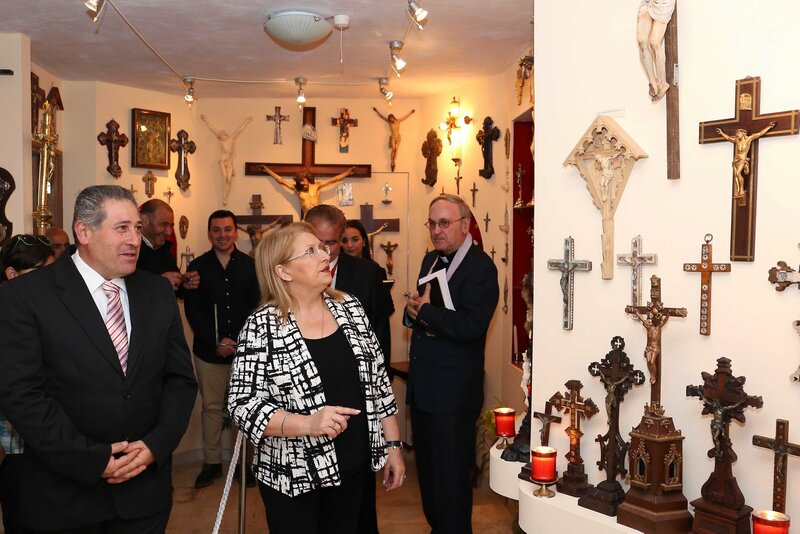 I also had the occasion to visit the “Crocefisso” or “Crucifix“, an exhibition in Gudja by Jesmond Farrugia, a local man who has a collection of over five hundred crucifixes! 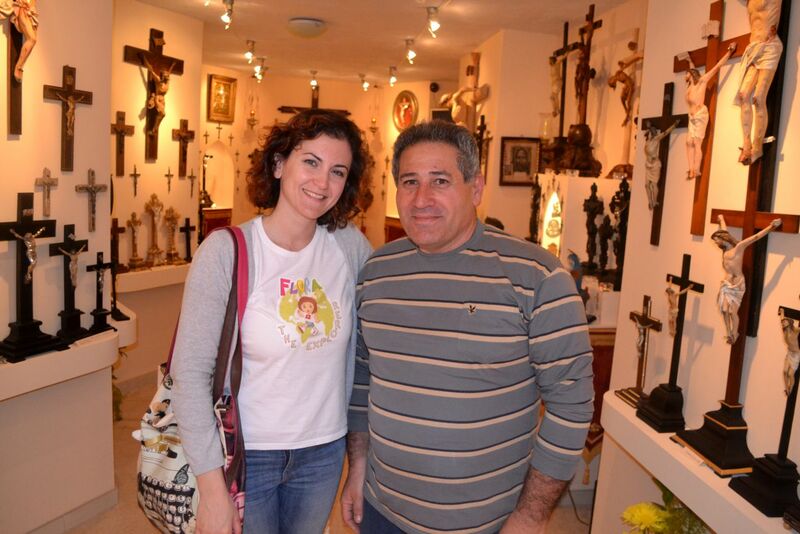 This is a unique exhibition in Malta, displaying many various types of crucifixes from all over the World, from places such as France, Belgium, Jerusalem and Italy. This year the President of Malta, H.E. 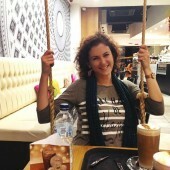 Marie-Louise Coleiro Preca, also went to visit Jesmond and his distinguished exhibition! 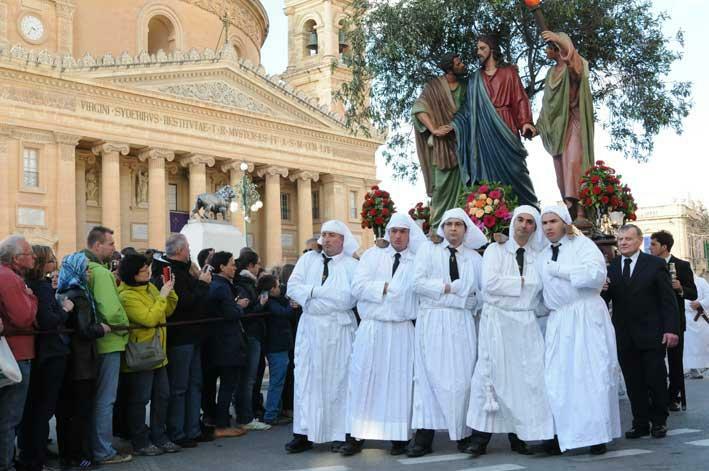 When and Where you can assist at the Easter Processions? 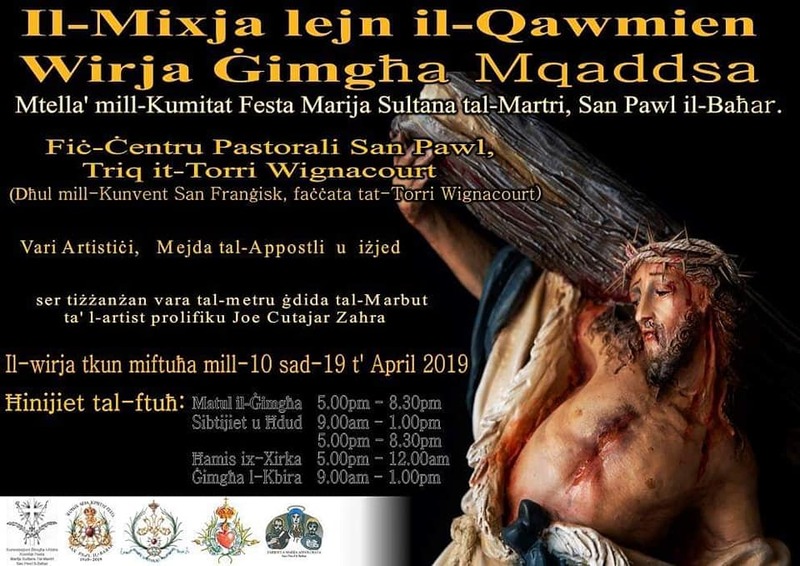 The Easter commemorations begin on the Friday prior to Good Friday, with the practice of carrying the statue of Our Lady of Sorrows through the village streets, also known as “id-Duluri” statue. 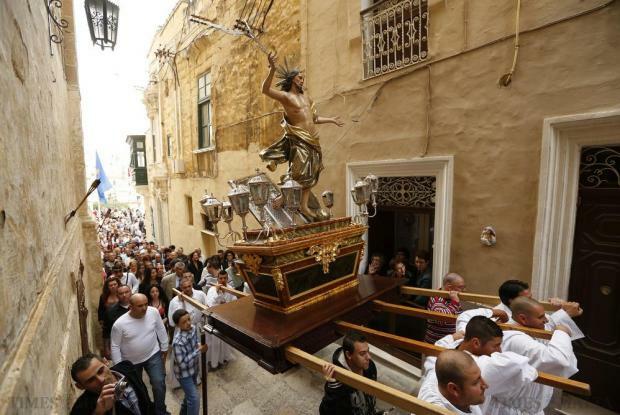 In St Paul’s Bay as well as in Valletta and in the other villages, you can witness this procession. 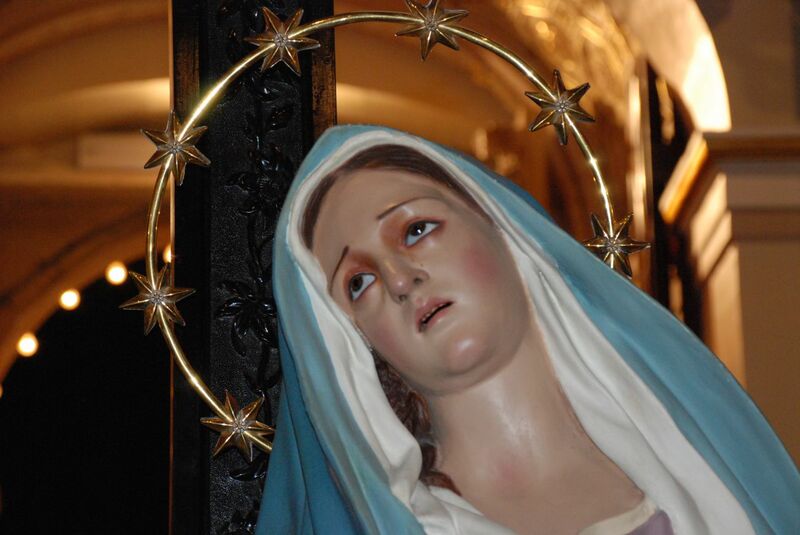 The Holy Week carries through from the procession of Our Lady of Sorrows to the final celebrations on Easter Sunday. 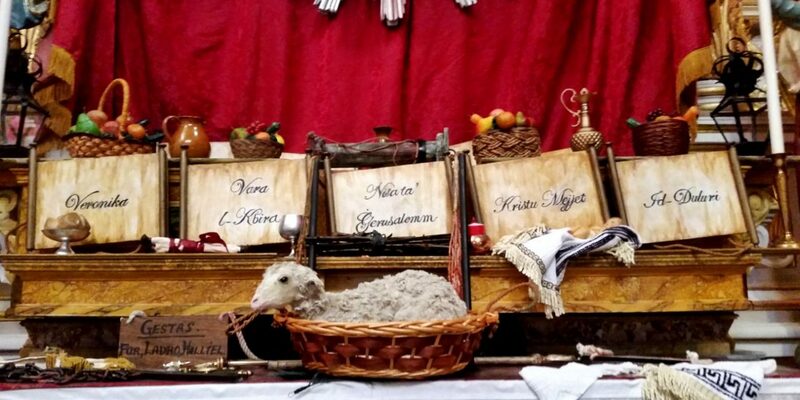 On Holy Sunday, families celebrate with the typical Easter Sunday Lunch. In the morning devotees participate to the Mass and at around 11am, the Risen Christ is brought to Procession along the main streets. Devoted followers and tourists alike gather in the squares of the churches to witness this special celebration and to venerate the Rising of Christ.